Sub Terram Bag Of Tricks is mated to Toftahill Pin Code. More info soon. real dogs have a beard! 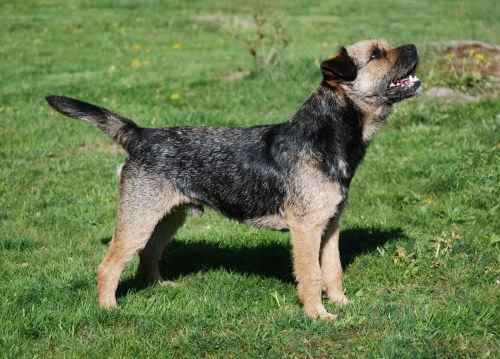 For some years I also bred German Jagd Terriers with some success. Many champions and Breeder of the year 2002 are achievements that I am proud of. 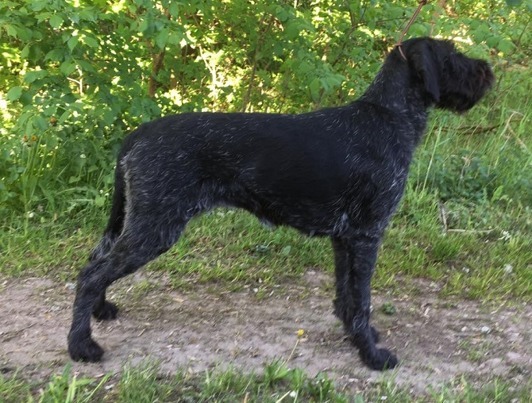 I want to breed dogs with all the important characteristics; in hunting, mentally, in health and looks, and that adds some great genes to the Swedish genepool. Co-operation with breeders outside of Sweden is well established since long. 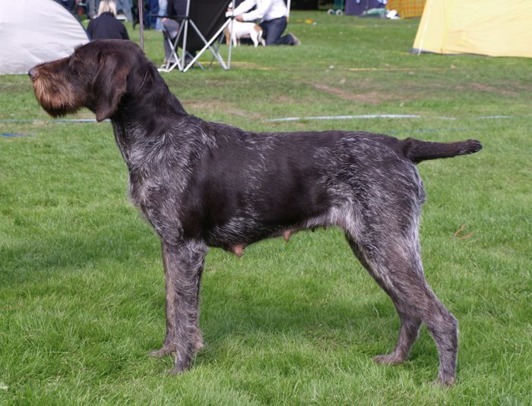 I am a very active hunter, I sell my dogs to hunters only, and therefore I am keen to preserve the characteristics that our dogs are supposed to have. 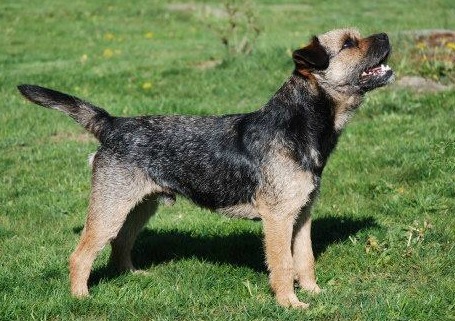 The Border Terrier is first and foremost a dog for working underground on fox and badger. It is important that they have the strength, power and guts to do so. This asset also makes them excellent workers on wild boar. Working on deer and roedeer they usually bark on sight. 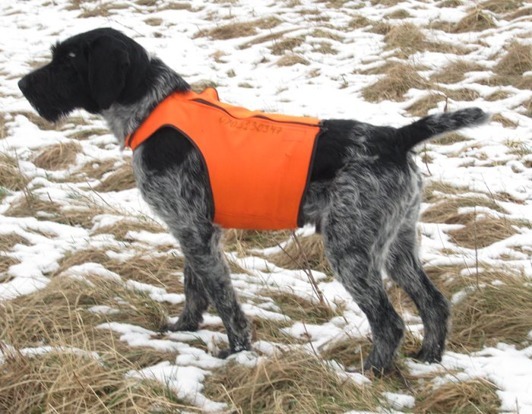 The DD is an allround huntingdog that can be used for numerous sorts of hunting. The reason I have concentrated on the German lines is my strong belief that the allround abilites are best preserved within the Weltverband VDD. 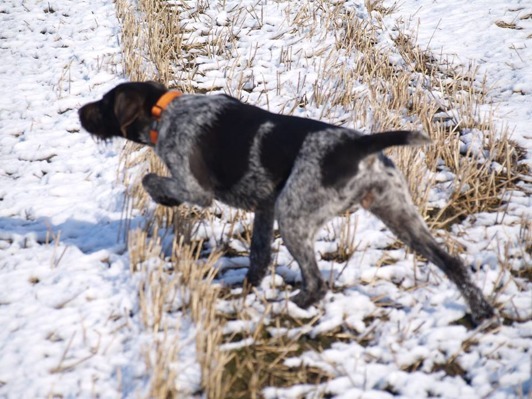 A DD must point, retrieve, hunt with loudness on sight or track, and be able to do Schweisswork. Both breeds should be able to relax totally when not working. 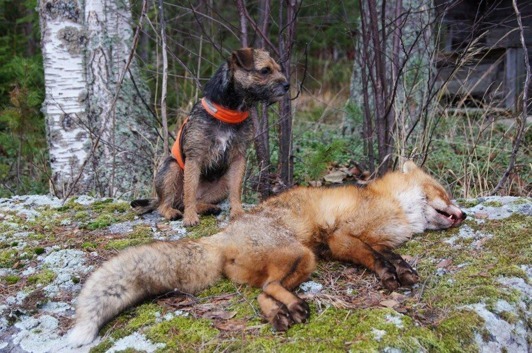 Nice to children and other dogs, but extremely focused when hunting. 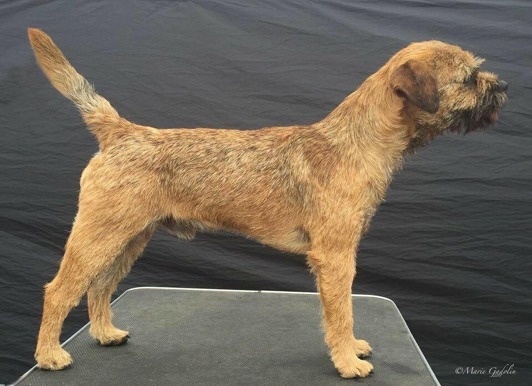 If you are interested in buying a DD you need to know that this is a breed that requires some time and focus from you trainingwise. A fun and dear job that pays well off! 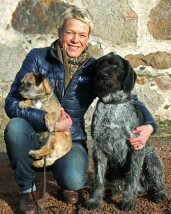 Welcome to contact me with questions and general dogtalk!